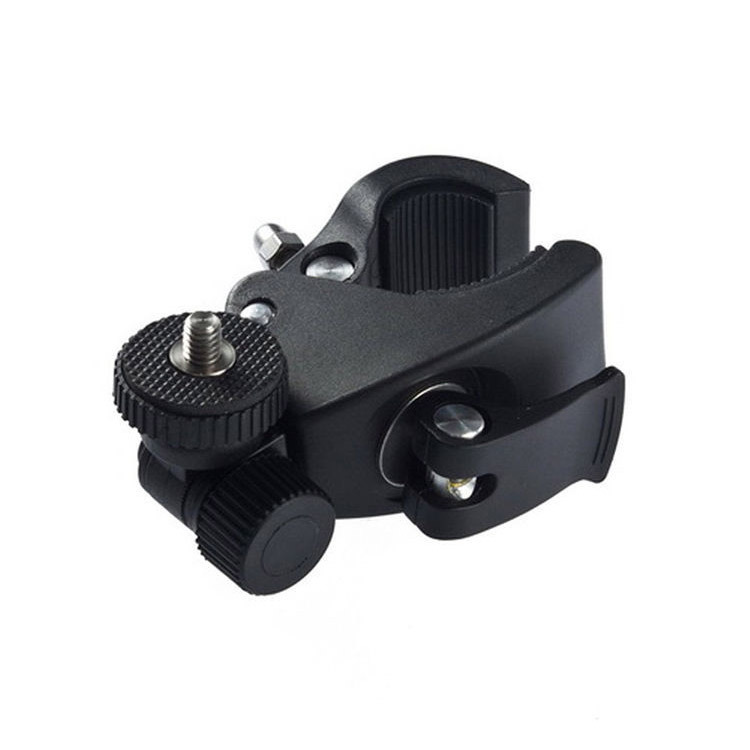 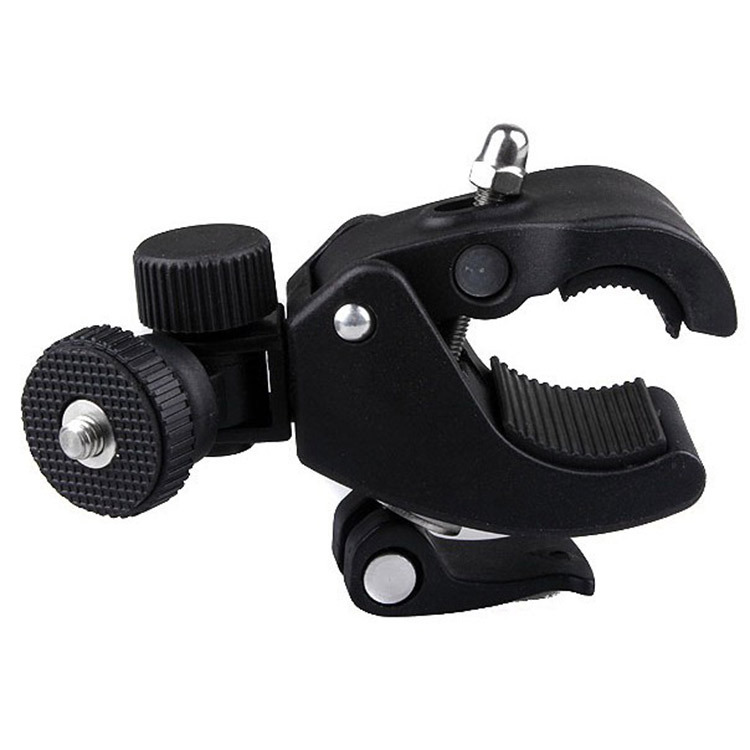 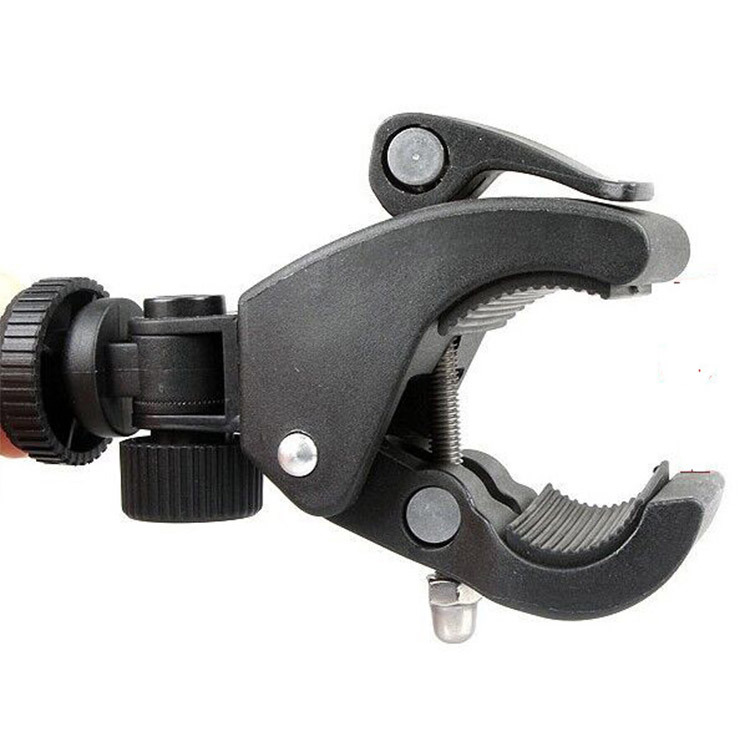 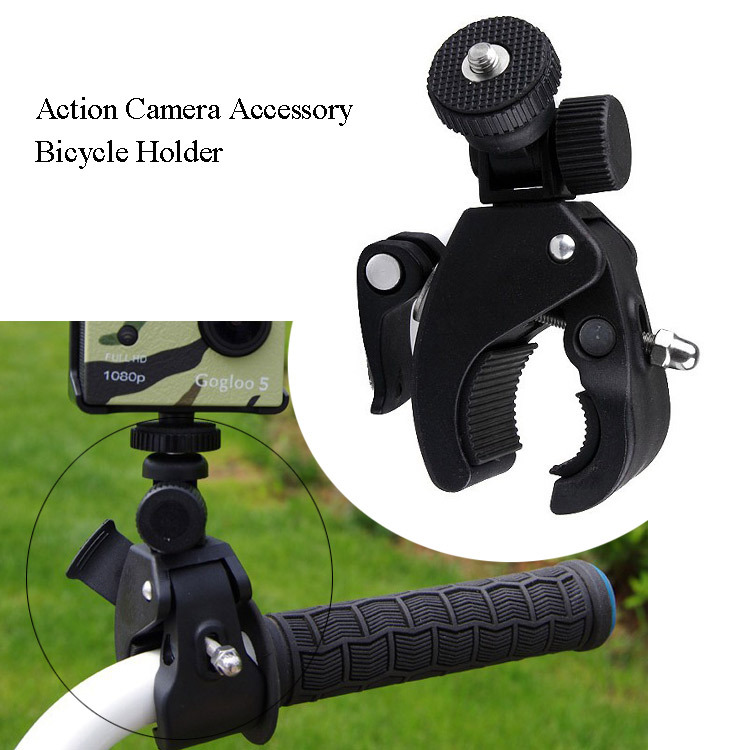 CLAMP MOUNT : Within the clamps of the Aperfect Handlebar Mount are rubber grips, which provide a sturdy and non-slip hold. 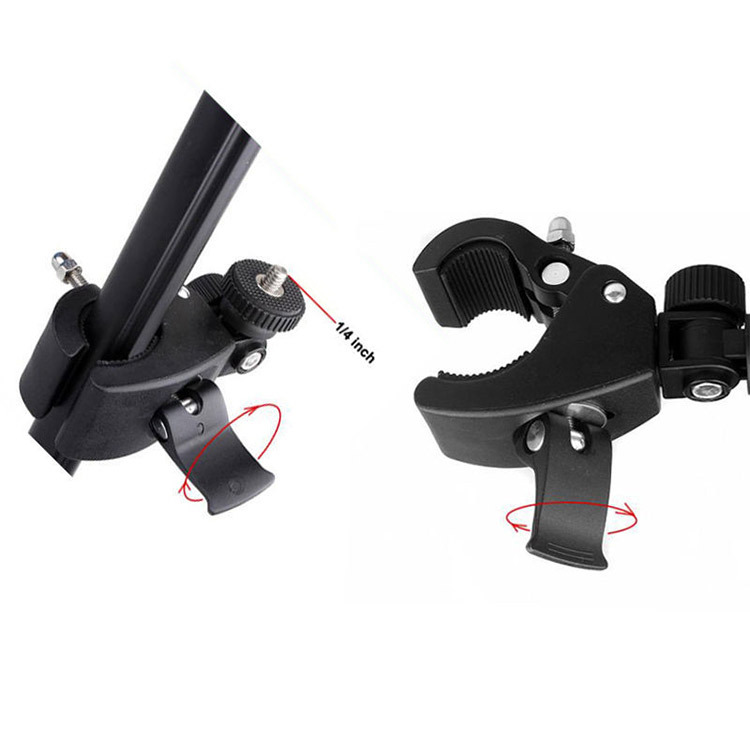 The clamp opens to 4cms and can clamp on to widths as small at 1.5cms. 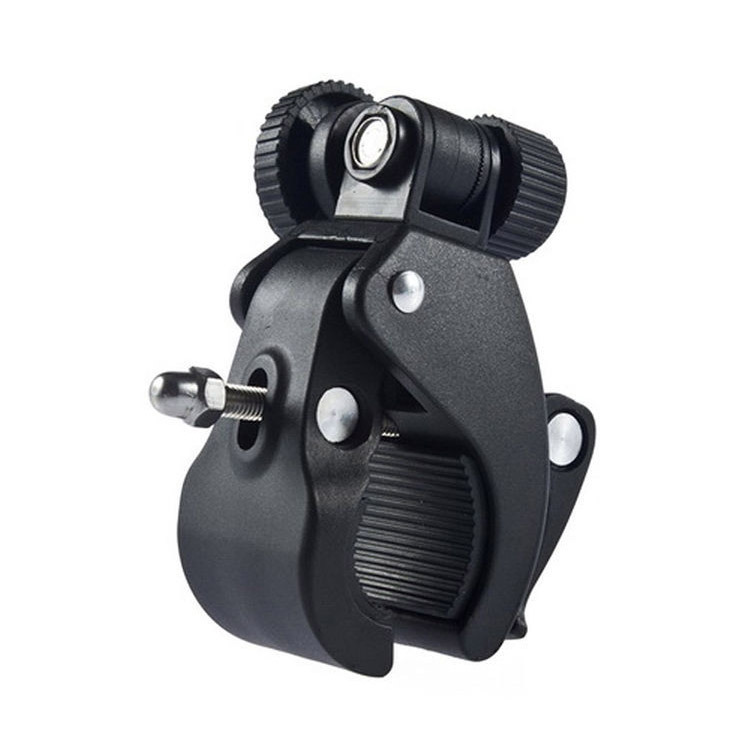 1) Brand new and high quality. 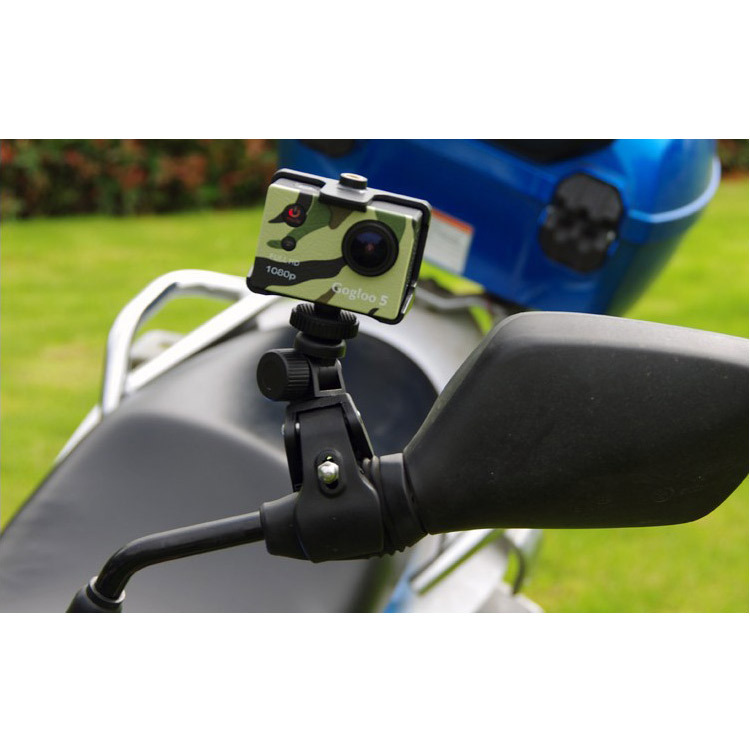 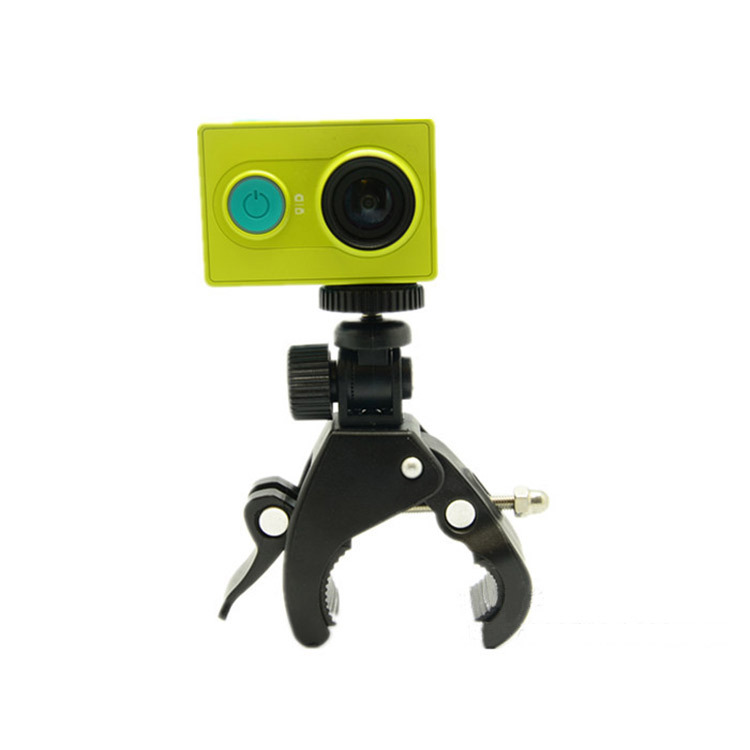 2) The quick release handlebar mount can be used with any GoPro Hero 4 3+ 3 2 1 cameras and the digital cameras supoort 1/4" thread screw mount. 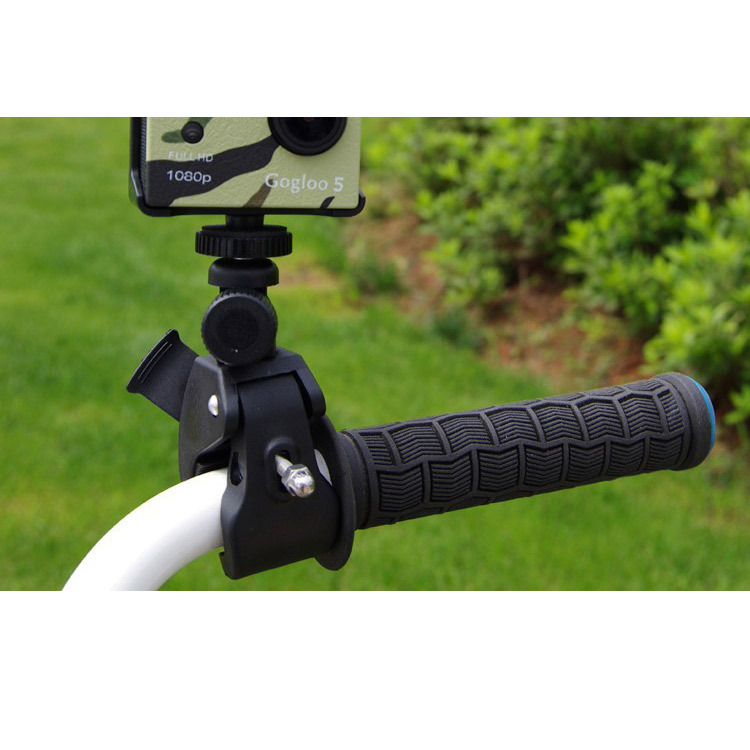 3) The adjustable arm allows users to adjust the mount at any desired angles between 0-180 degrees. 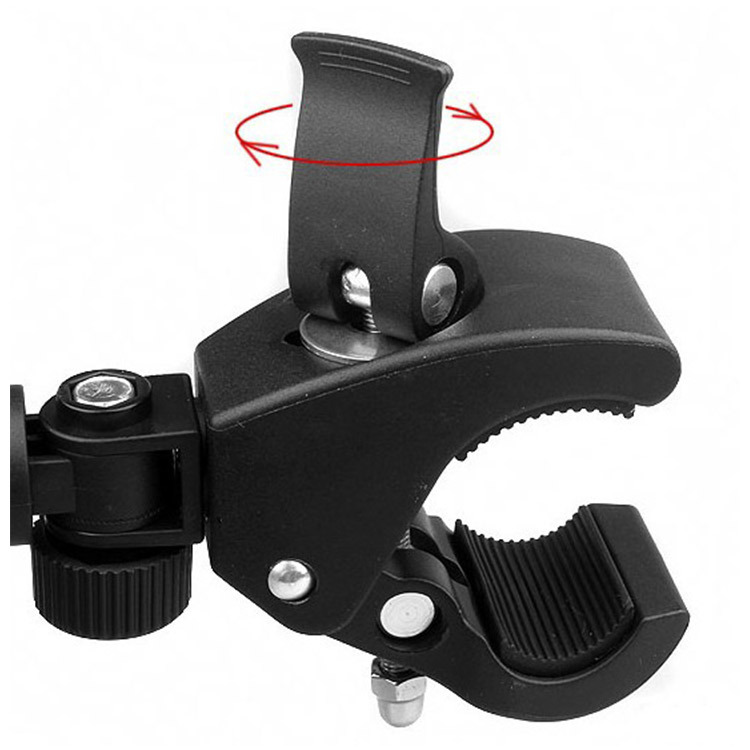 4) Within the rubber clamps grips, the mount kit could be tightly fixed on the handlebar. 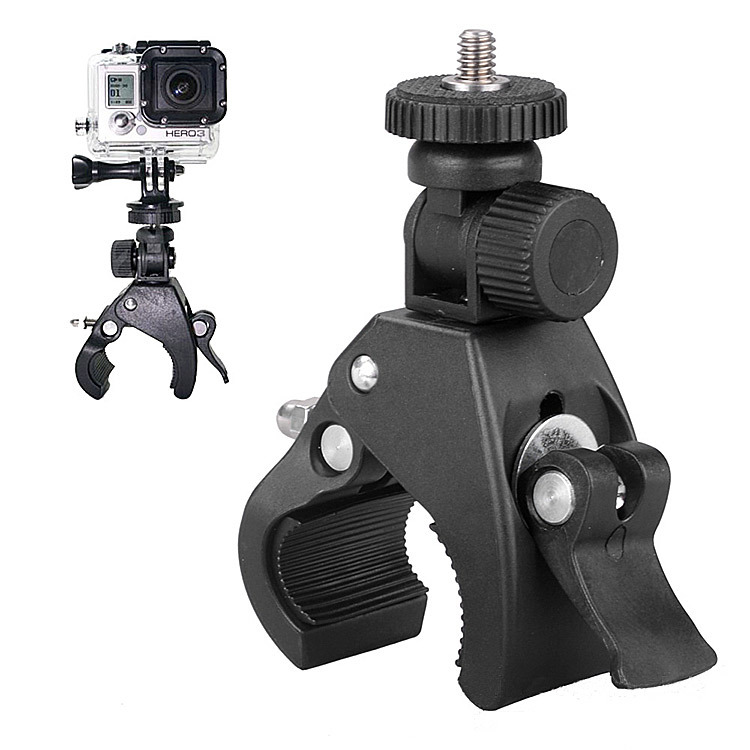 5) Comes with tripod/monopod mount adapter. 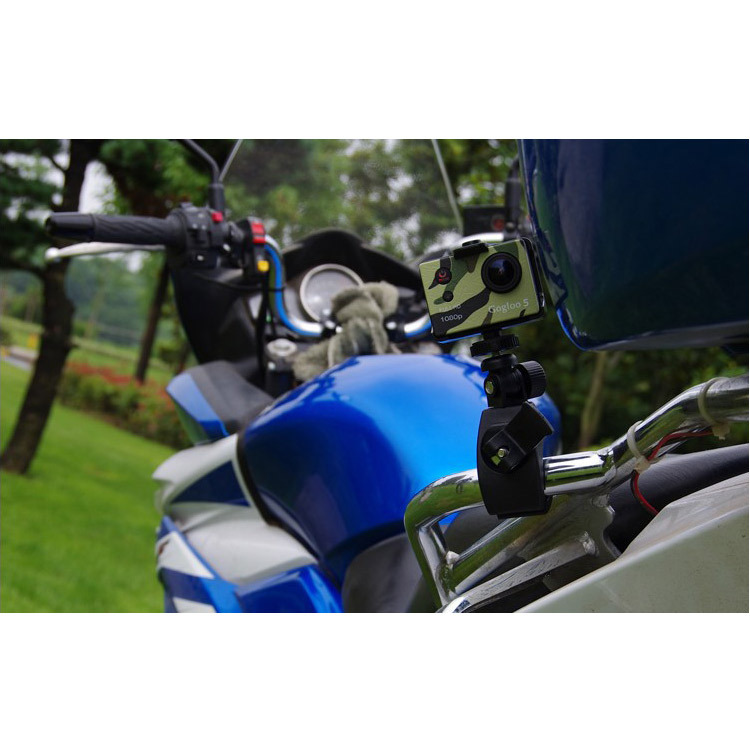 Note: GoPro Hero Camera is not included.